The Landings at Spirit Golf Club has offered junior golf instruction for the past 15 years and PGA Director of Instruction Don Gorin has been instructing juniors for over 21 years. The facility will continue to provide trained and experienced instructors to help promote a lifetime sport. 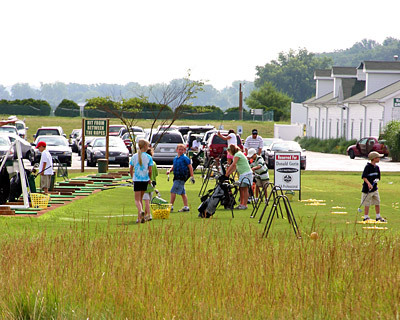 Our camps consist of range instruction on the full swing, short game, and on-course playing, while learning course etiquette and the rules of the game. Each camp session will have a maximum of 8 students per class and a minimum of 4. This will ensure plenty of individual instruction. We want each of our campers to experience a fun and enjoyable time while learning the proper way to play the game of golf. Pay a one time fee and receive 1 1/2 hours of instruction per week for three months.